Posted By Lindsay Wilson-Roberts October 22, 2018. The Andrews Labor Government is strengthening multicultural organisations in the Broadmeadows electorate to better engage and support their communities through the Capacity Building and Participation grants program. Victorian students at more than 480 schools across the State will soon benefit from having maintenance works carried out at their schools thanks to the Andrews Labor Government. Minister for Education, James Merlino, has announced the schools would share in $20 million of Planned Maintenance Program funding to help address their various maintenance needs. Posted By Lindsay Wilson-Roberts October 18, 2018. Every Victorian child born under a re-elected Andrews Labor Government will start kindergarten a year earlier, including kids in the Broadmeadows area. Labor will invest almost $5 billion over the next decade to deliver a full 15 hours of three-year-old kinder, helping make sure local kids are ready for school and set for life. The Andrews Labor Government is getting on with revitalising Broadmeadows Station with the opening of a new station entrance, making it easier and safer for passengers to access the station. Member for Broadmeadows, Frank McGuire, officially opened the entrance today, which features four new myki readers to ease congestion during the busy morning and afternoon peaks. Posted By Lindsay Wilson-Roberts October 17, 2018. 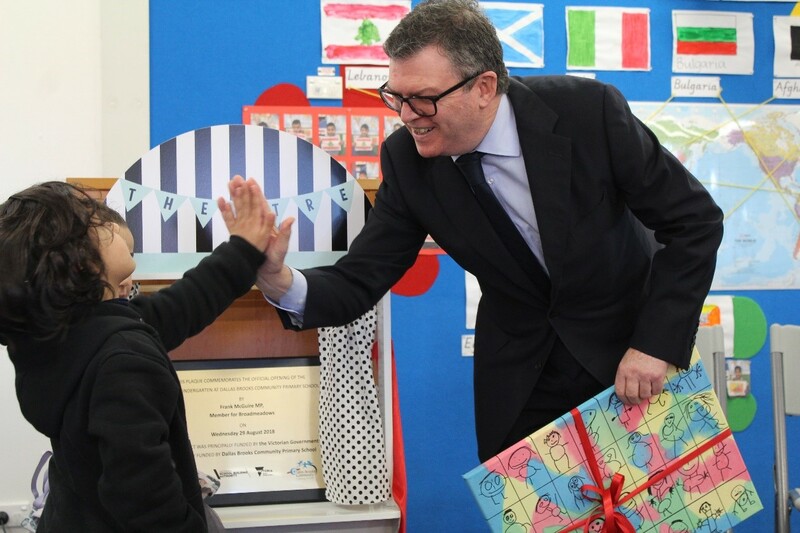 Culturally diverse communities in the Broadmeadows electorate will receive $403,000 from the Andrews Labor Government for new and existing community facilities. 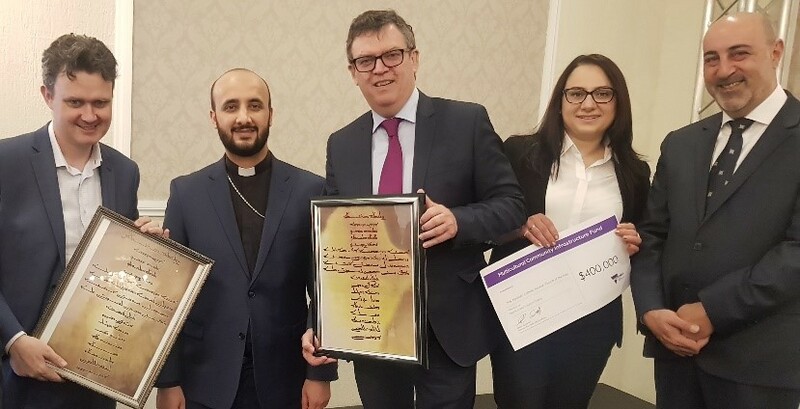 The Multicultural Community Infrastructure Fund supports communities in the Broadmeadows electorate to feel connected with their traditional culture as they participate in and contribute to our wider society. Building Smarter Cities Stronger Communities from Frank McGuire MP on Vimeo. Postcode of Hope from Frank McGuire MP on Vimeo. On Track from Frank McGuire MP on Vimeo. Broadmeadows Revitalisation board 2018 from Frank McGuire MP on Vimeo. ANZAC DAY 2018 from Frank McGuire MP on Vimeo. Broadmeadows Revitalisation board December 2017 from Frank McGuire MP on Vimeo. 21st Century Housing from Frank McGuire MP on Vimeo. Northern Hospital Opening from Frank McGuire MP on Vimeo. Greater Broadmeadows Framework from Frank McGuire MP on Vimeo. How sweet it is. Nine News from Frank McGuire MP on Vimeo. Camp Rd Level Crossing Removal Traders from Frank McGuire MP on Vimeo. AnzacDay_2017 from Frank McGuire MP on Vimeo. Side by Side ANZAC 2017 - SBS 1 News 20_04_17 from Frank McGuire MP on Vimeo. GTV 9 News 10 02 17 Calls to scrap Broadmeadows Detention Centre Plan from Frank McGuire MP on Vimeo. Economic Cultural Development Summit 2016-HD from Frank McGuire on Vimeo.